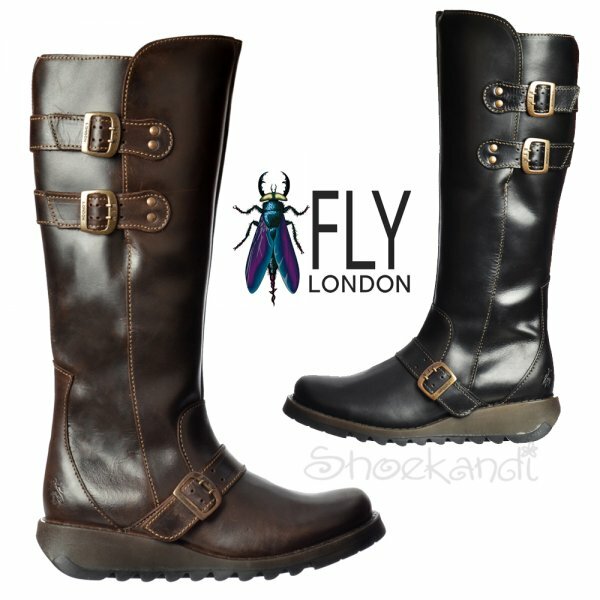 The Solv Sminx Line From Fly London is This Seasons Must Have Winter Boot! 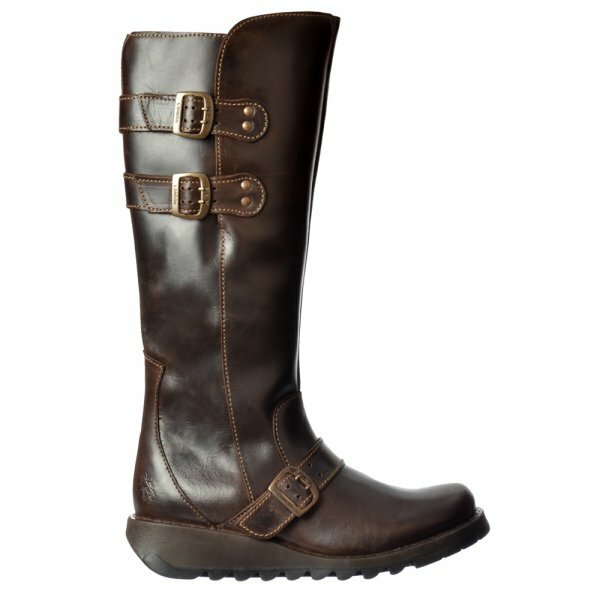 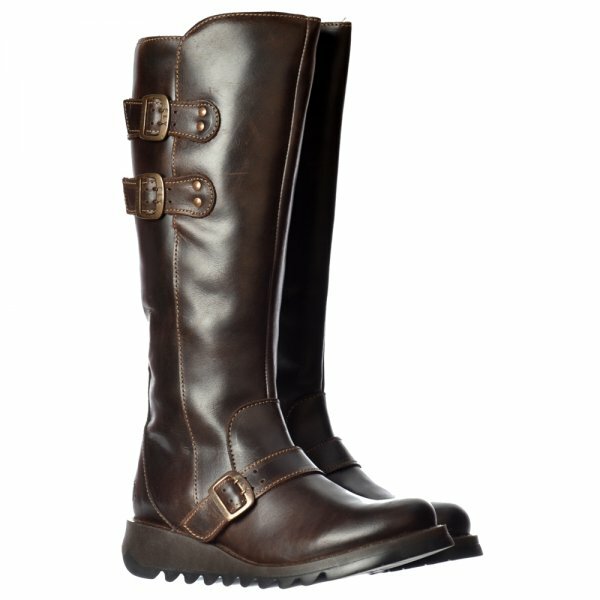 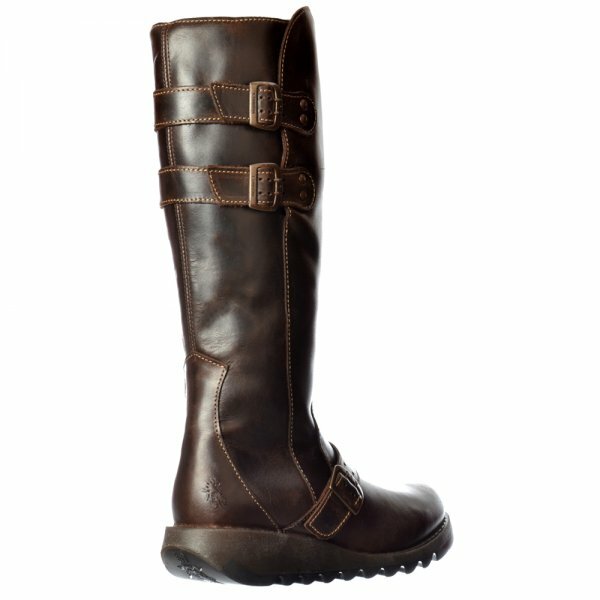 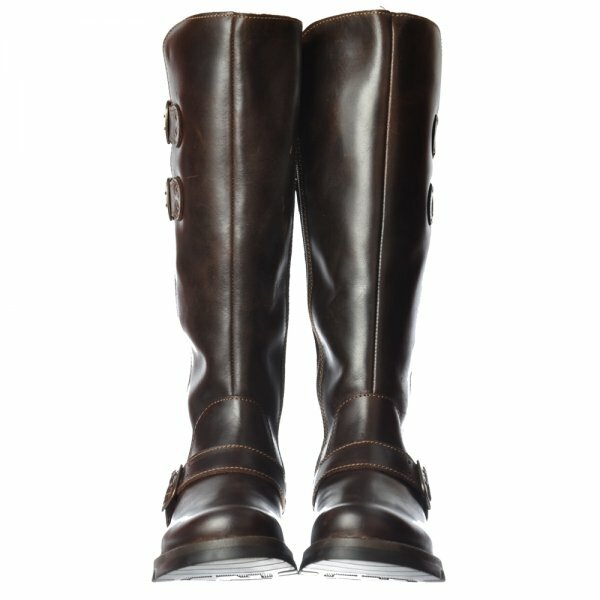 Knee High and Featuring Double Buckle Fastening at The Top and Single Buckle Strap Detail on The Ankle With Full Length Inner Zip it Creates a Real Biker Boot Feel. Its Manufactured Using Only The Highest Quality Leather, With Full Leather Padded Insole and Upper Plus Low Wedge Heel with Grippy Rubber Tread and Cleated Sole. 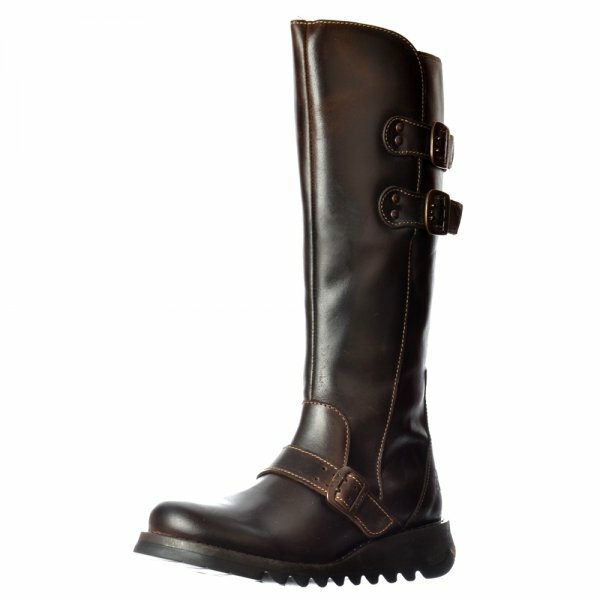 The Debossed Fly Logo to Rear and Molded Logo To The Sole Complete The Look. 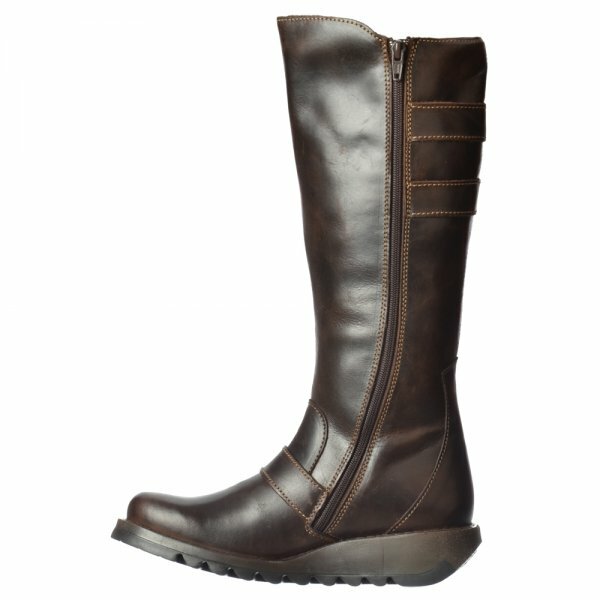 Available in Either Black or Dark Brown We Think You'll Agree Another Fantastic Style From Fly Londons 2014 Range.